Low sperm motility is one of the leading causes of male reproductive difficulties and German scientists have taken a somewhat novel approach to solving the issue. 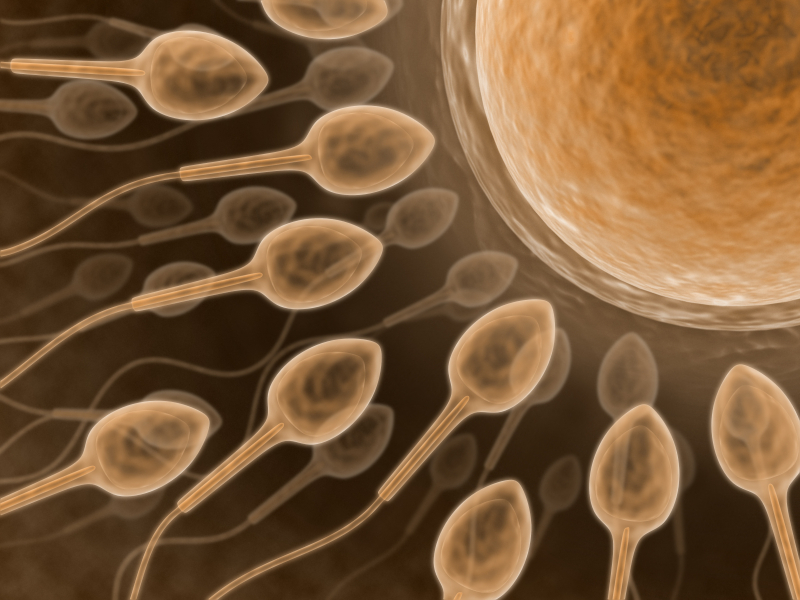 The team from the Institute for Integrative Nanosciences in Dresden has devised a micromotor that could give sluggish sperm a ride up to the egg for insemination. The micromotor, dubbed the “spermbot”, is a helix-shaped, metal-coated polymer that can fit over a sperm’s tail. Guided by a magnetic field, the spermbot serves as a sort of jet booster and can rocket the sperm into an egg before detaching. The micromotor has so far been promising in petri-dish tests and demonstration footage of the spermbot is available in several surprisingly hypnotic YouTube videos. The primary motivation for developing the spermbot was to provide a more effective and affordable alternative to artificial insemination, which is both an expensive and time-consuming undertaking but one that also has only around a 30% chance of success. Although the spermbot functions well in lab tests, there are certain hurdles that must be overcome before it can be considered ready for human reproductive use. For starters, although the researchers have managed to deliver sperm to eggs using the micromotor, they have yet to actually fertilize one. There are also significant environmental differences that need to be accounted for; for example, there are differences between a petri dish under a microscope and a woman’s uterus. In addition to making sure the woman is not harmed by the micromotor, there is the matter of visibility. The magnetic fields that guide the spermbot can be adjusted to keep it headed in the right direction, but the researchers have yet to devise a way to film or track the spermbot within a woman’s body. Assuming these challenges can be met, however, the spermbot will be a promising—if not entertainingly named—solution to low motility. Sperm motility refers to the manner in which sperm move and is graded on a scale of A to D. A sperm with “A” motility will move forward constantly while a sperm at rank D won’t move at all. The intermediate ranks are for sperm that move sluggishly or will simply travel in circles rather than progress towards the egg. A high sperm count can sometimes counteract the fertility impact of low motility and vice-versa, but a low finding of either is considered cause for concern when trying to conceive.